Washington, DC – August 7, 2018 – The American Institute of Architecture Students (AIAS) congratulates the winners of the 2018 AIAS Honor Awards. 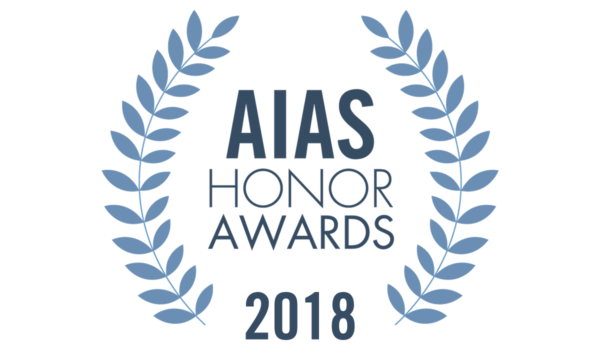 Each year the AIAS honors individuals and groups for their exemplary work in areas such as leadership, collaboration, scholarship and service. Notes from the Jury: The jury was impressed by the level of rigor the chapter went through to reinvent and reimagine their programming having used data, town halls, and other avenues to pursue their members. In addition to getting their larger community involved, the chapter really worked to tackle socio-economic issues their peers and members faced. They had the most well-rounded application. The package was beautiful, the support material was wonderful. They gave more information than we asked for, and clearly worked really well with the administration. The integration into their academics, studio culture, and school community is clear and intentional. The letters of recommendation were strong, clear, and unique. Well done Carnegie Mellon team!! Congratulations! Notes from the Jury: This was an outstanding submittal. The letters of recommendation were pointed and in unique support of their candidate. Zain is a well-rounded student and clearly succeeded in each piece he had submitted. We appreciated the conversation about the chapter crash that happened post hosting a quad and that Zain was able to balance research and other curricular pursuits while still lifting his peers to new heights. Thank you for demonstrating a balance between AIAS involvement, education, and extracurriculars. Well done and congratulations! Notes from the Jury: The jury continually noted Alex’s rigor and dedication to governance details of his chapter. In addition to organizing a mass restructuring of a large board, he zoomed in on revamping bylaws and other tedious tasks that often go neglected. The jury also appreciated Alex’s personal outreach to a local community college chapter that has been floundering in recent years. The community college leadership resurfaced, the members re-engaged, and they even attended the 2018 Grassroots Leadership Conference in DC. By taking initiative, he was able to engage with a group of students who were unreachable by the national office for years. In addition to working with the community college, Alex continually poured into freshman within his own university. He did this because he saw a lack of continuity in chapter leadership on the horizon. One of the most appreciated parts of his application was where he displayed personal development OUTSIDE of the AIAS. Alex displayed the AXP hours he had earned to date, proving that in tandem with balancing each piece of his education and volunteer activity, he is actively pursuing licensure and professional development on his own terms. Thank you for continually leading by example. The only evidence the jury would have liked to see was how he engaged with his local executive committee. Well done, Alex! Congratulations! Notes from the Jury: The jury was impressed by the community engagement activity, allowing for the communication of the value of design to their community. This is something that needs to be stressed within curriculum. The precedent research was very thorough, and we appreciated the 8 big moves. We really appreciated the makerspace in the submittal. The jury was interested to know to what extent the research presented was group work and what was individual. However, this is a very impressive fourth-year project. The range of scales Rafael and Destanee worked in were quite impressive. They worked in scales ranging from community involvement down to the level of structural details. The level of collaboration is wonderful. Congratulations, you two! Notes from the Jury: Kelsey demonstrated through research in her submittal “How Architecture Can Combat Obesity.” The jury appreciated her ability to wrap community engagement and input into her project. While the research component was the strongest of those submitted, the jury was looking for a greater application and extrapolation of ideas in the final project. The letters of support were strong and individual not only to Kelsey as a student but also to her topic of study. We appreciate the depth in which the letters praise the extents Kelsey went to in engagement with local schools curriculums. Her work was a step of holistically addressing what is being taught to young students, how it is being taught, and what possible modes of active engagement there is within healthy living. Thank you for actively demonstrating your activism for healthy environments, Kelsey. Congratulations! Notes from the Jury: The jury noted the depth to which Prof. Kultermann crafted both studio and extracurricular experiences, and commended the development of exercises that engaged local community clients, thereby encouraging students to be “informed and active citizens responsive to the needs of a changing world and equipped with the ability to address critical environmental, social, and economic challenges through design and responsible professional practice.” She is a dedicated teacher, scholar, and administrator. This is evidenced by the high student evaluation scores, the co-authorship of a book, and the strength of her letters of recommendation. As a registered architect, Prof. Kultermann also brings a wealth of knowledge regarding the craft of building, which is greatly appreciated by her students. In addition to her teaching and administrative duties, Prof. Kultermann also serves as the AIAS Freedom By Design Mentor, where she has worked to develop strong relationships between the architecture program and the broader community. These activities seem to reinforce the dual pedagogies of community engagement and sustainable design. For these, among many other reasons, the jury recommends Professor Eva Kultermann to receive the 2018 Educator Honor Award. Notes from the Jury: Katherine Schwennsen, FAIA, is a teacher, administrator, and advocate for architecture students of the highest order. In her role as a teacher, she seeks to transform the culture of architectural education by prioritizing collaboration, engagement with affiliated communities, improved communication, and critical objective inquiry. As an administrator, she has strengthened Clemson’s program through successful team building and has mentored countless students and colleagues – accomplished by being approachable, encouraging and inspirational. She seeks to bridge the gap between education and practice, has supported socially-minded, public interest projects, and has been a strong advocated for student leadership. Those who gathered to support her pursuit of this award boasted that “Kate’s leadership extends far beyond the classroom and halls of the CUSoA. With an extensive background in practice, she stresses the relationship and communication between the academy, practice and professional organizations, like the AIA. She also maintains an impressive relationship with Clemson alumni.” Kate Schwennsen is an outstanding educator and one we look forward to hearing many more innovative, impactful, and transformative stories from students she encouraged within our AIAS community. Thank you for your work! Congratulations! Notes from the Jury: What a worthy candidate. The portfolio submitted was very broad and well-rounded. Ryan is clearly very engaged with his colleagues, his professional community, and also those beginning their career. The jury’s notes included these exclamations, “I would simply like to say thank you,” and “There is no doubt that he deserves the award.” Ryan is personally engaged with students from high school to college, graduate students, emerging professionals, and young architects. He co-founded the AIA|DC Christopher Kelley Leadership Development Program and has volunteered for countless positions within the AIA, NAAB, and AIAS. This is a man of strong character and dedication to his community. He exemplifies our mission statement of advancing leadership, design, and service. The jury is proud to recommend Ryan McEnroe to receive the 2018 Emerging Professional Honor Award. Thank you from all of us at the AIAS! Notes from the Jury: This is a “slam dunk for Wentworth!” This is a model FBD program. If you are interested in establishing a chapter, this is who you should look at. This chapter is newly established and has already been successful in impacting their school community and the greater community of Boston. The jury is impressed with the level of collaboration and teamwork displayed in their submission. Their letters of recommendation were in fierce support of the program leaders and the impact the work they facilitated had on their surroundings. Their Design Mentor and project advocate Erik Miller had this to say, “Even though this was the first year FDB was present on Wentworth’s campus, the program has helped lead a revolution in student-led, externally-collaborative, project-based, and interdisciplinary learning. The program’s ability to, not only, represent the professionalism of the trade, but also present opportunities for mentorship and collaboration has helped the institute re-examine the role of students in project-based learning.” We really appreciate the co-director position! This allows for each person in leadership to feel supported and not “overstretched” in other areas of their life. They are firing on all cylinders! The design packet was well designed, thorough, and inspirational. Thank you for all you have done and for the potential we see in your future. Congratulations! The award is well deserved! Notes from the Jury: We were very impressed with the longevity of involvement this component has demonstrated. One of our jurors remarked how [he] “would be very honored to be attending UNLV.” The mentorship program is OUTSTANDING. The impact of this component is incredible and their reach is far stemming from k-12 through college and into the emerging professional environment. Their willingness to have students involved with committees and on the board is invigorating. Other components can learn from their level of engagement, empowerment, and mentorship on an individual level. Their impact is noted from students, professors, and AIAS National leadership. Glenn Nowak an AIA Nevada Las Vegas member and University of Nevada Las Vegas graduate coordinator divulges just how deeply the component and its work are in their community and education. “As the UNLV School of Architecture has evolved into an academic leader in such areas as design-build, desert sustainability, and hospitality design, the AIA Chapter recently hosted the regional Mountain West Conference and looks forward to playing host to the AIA National Convention, next year. The strengths of the School and the AIAS chapter are in large part shaped by the local profession and specifically by the countless engaged members of AIA Las Vegas. In turn, the graduates of the School shape the local profession… many former students participate in AIA Las Vegas activities that ultimately give back to the next generation of design professionals and the community.” One of the most recurring notes in their letters of recommendation was how the AIAS Chapter President sits on the component Board of Directors as a voting member. Thank you for your willingness to see potential in the next generation and for empowering us to be leaders. Their student engagement was not done at the detriment of professional programming for their component members. Their calendar boasts 4-8 venues for engagement opportunities each month ranging from continuing education, networking, award galas, platforms for k-12 high school interaction, and formalized mentorship opportunities. Thank you for all you do! Viva Las Vegas! The AIAS is thrilled to add these individuals and chapters to the long list of exemplary members of the organization. Join us in congratulating them and their hard work during a special Honor Awards ceremony at AIAS FORUM 2018 in Seattle, WA on December 29, 2018. Further details to come.